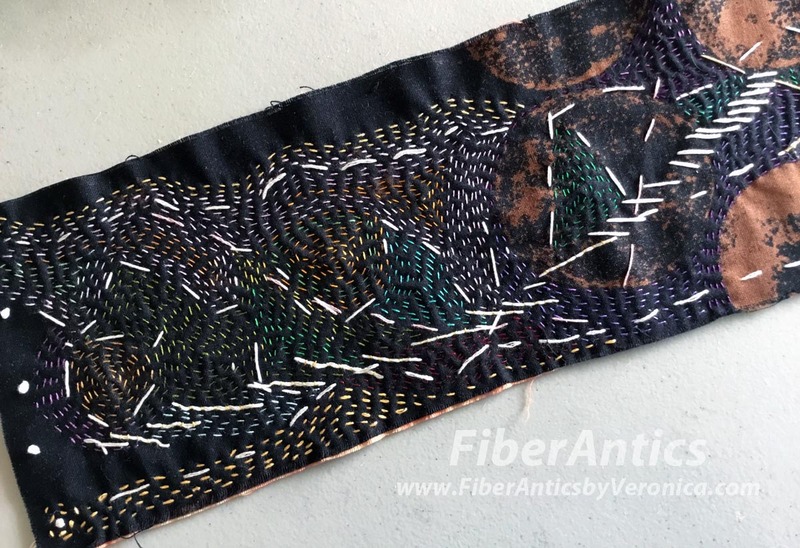 Fiber Antics by Veronica: Mending vs embroidery, or embroidery as mending? 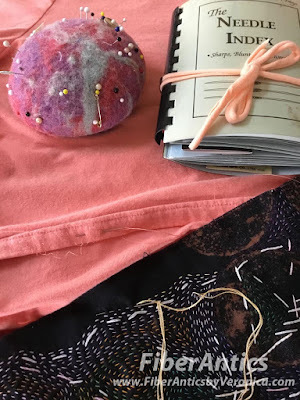 Mending and kantha embroidery stitching. While growing up, the summer was the time when us kids (my brother, cousins and I) visited my grandparents at their summer home in Wisconsin. I remember that grandma always had a small pile of items that needed mending... grandpa's shirt with a missing button, a sock with a hole, a worn or torn place on a shirt sleeve or cuff. I think this mending pile, the associated sewing tools, and watching Gram sew replacement buttons on various garments are among my first love encounters with sewing and textiles. Although she had an electric Singer sewing machine, Gram repaired these things by hand with needle and thread. We live in such a disposable society these days. If it's broke/torn/has-a-hole or other minor defect, it often gets pitched and a new replacement is purchased. As I learn more about kantha, boro and other time-honored mending and stitching techniques, I've begun to look for creative mending and recycling opportunities. As well as being a "saver"—from buttons to cardboard boxes, plastic containers and lard for making soap—Gram was a mender. So, I channeled Gram this weekend as I mended a knit top whose hem had come loose. 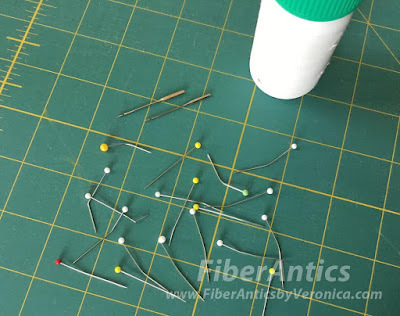 As I was looking for a small hand sewing needle for this task, I decided it was a good time to organize my Needle Index and purge the pincushions of the useless pins and needles—the bent ones, the dull ones, the ones with burrs, etc. Bent pins and dull needles go into a small plastic medicine bottle. 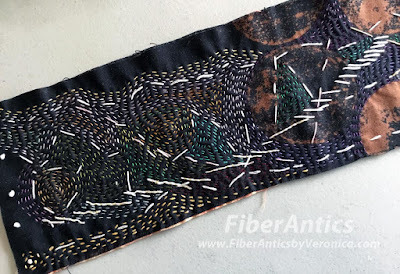 After organizing my (vast) assortment of hand sewing needles, I took some of the pre-threaded ones and added more lines of stitching to another kantha embroidery project from Dorothy Caldwell's workshop.